Oralia "Cory" Garcia, age 60, of Elwood, passed away on Wednesday, March 27, 2019 at her residence surrounded by her loving family. 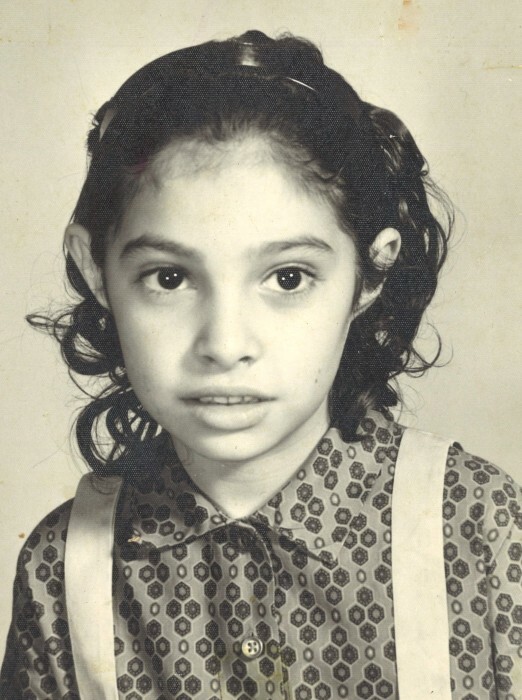 She was born in McAllen, Texas on May 23, 1958, to Maximino and Maria (Herrera) Salas. On June 10, 1976 Cory married Juan Garcia and they shared over 42 years of marriage together. Cory was formerly employed at the PAC Plant in Elwood and then Roche Diagnostic in Fishers. She was a longtime member of St. Joseph Catholic Church in Elwood and enjoyed fishing in recent years. Cory was an avid reader and her favorite authors were Danielle Steele and Nora Roberts. She was a Colts fan and enjoyed supporting her children and grandchildren in their sporting events. More than anything she loved to be with her family especially her grandchildren. Cory was a wonderful wife, mom, and mamaw that will be sadly missed by her loving family. Cory is survived by her mother, Maria Salas; loving husband, Juan Garcia of Elwood: daughter, Veronica Hinojosa of Mcallen, TX; two sons, Juan (wife Erin) Garcia, Jr. of Avon, and Andy (wife Misty) Garcia of Elwood; grandson, Armando Hinojosa; grandson, Jaycobb Hinojosa; granddaughter, Lailah Hinojosa; grandson, Myles Garcia; grandson, Jordan Garcia; granddaughter, Savannah Garcia; three brothers, Luis (wife Blanca) Salas, Jose (wife Alicia) Salas, and Martin Salas; three sisters, Esperanza ( husband Tony) Ramirez, Dahlia (husband Jose ) Muniz, and Susie Carrillo; brother-in-law, Zenon Yracheta; and several nieces and nephews. She was preceded in death by her father, Maximino Salas; and a sister, Blasita Yracheta. A funeral service to honor her life will be at 7:00 pm Monday, April 1, 2019 at Dunnichay Funeral Home, Elwood, Indiana with Father Dan Duff officiating. Visitation will be Monday, April 1, 2019, from 3:00 pm - 7:00 pm, at Dunnichay Funeral Home, 1113 S. Anderson Street, Elwood, Indiana. Memorial contributions may be made to the American Cancer Society through the funeral home.